Come meet our rabbits at our February adoption drive! Our rescued rabbits have recovered and are now sterilized and ready for adoption. We hope to find committed families to bless them with a forever home. Will you be their special someone? You can find our latest list of adoptables in our gallery: goo.gl/XV5X1c. 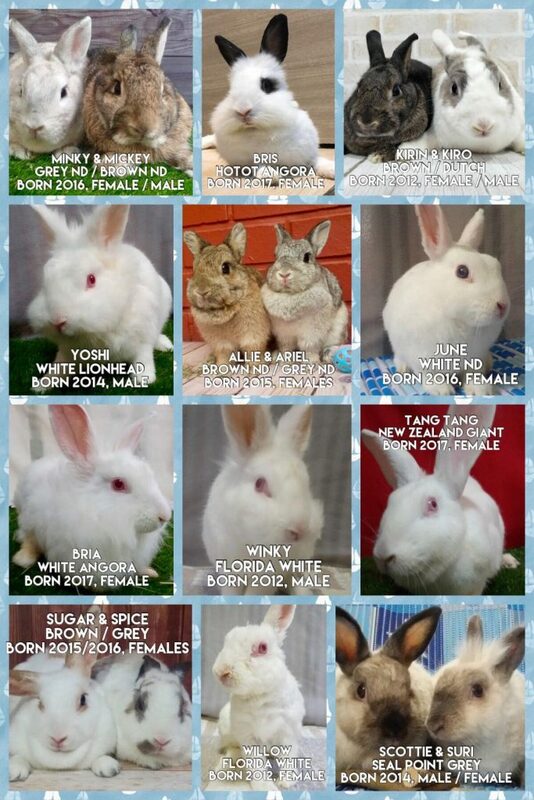 If you see a rabbit you are keen to adopt, please review our adoption process via the registration link above. Our volunteers will contact you shortly! We screen through all applicants and only approved applicants will be invited to our drive. To ensure you are well-prepared for the commitment, please review our Rabbit Care Guide (goo.gl/smzL3U) before inquiring.